Without a doubt, we all have a bit of a love-hate relationship with the photography app that’s changed a generation. Instagram may have launched as a creative way to share imagery and tell a story, but it snowballed into a whole new way of communicating – launching unknown content creators into superstardom and allowing many of its users to make a living from sharing shots of them in their newest purchase. 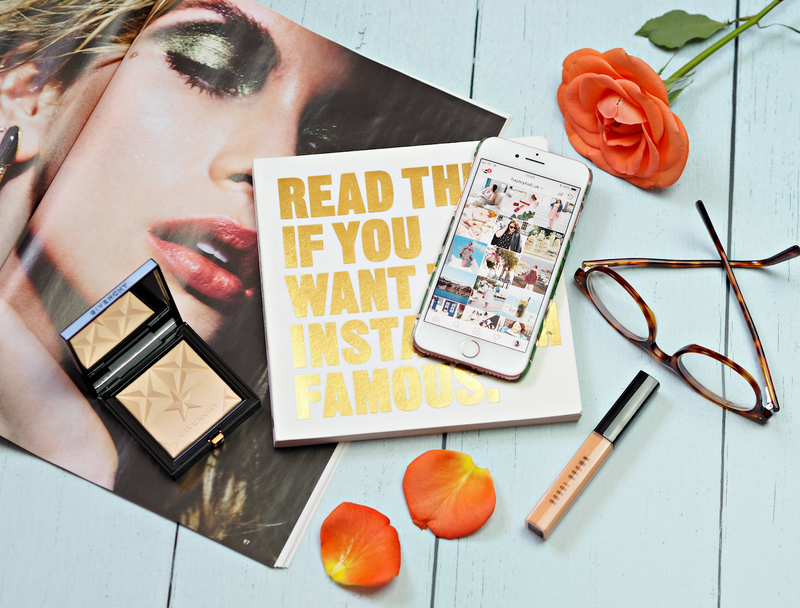 Over the years we’ve fallen in love with this photo-sharing platform, even creating whole new image styles (hello flatlays!) to generate as many likes as possible; many of us have put our hearts and souls into growing an audience, or simply supporting our fave accounts, but in the last twelve months it’s been impossible to not notice the general disdain and frustration at an app that started out by offering so much fun. Ever since the Instagram Gods decided to change the algorithm, choosing to focus on making more money rather than supporting the users that had helped grow the channel to what it was (me, bitter?! ), the majority of us have been struggling to make any headway. Engagement plummeted, followers hemorrhaged and visible content became so uniform that it may as well have been all from the same handful of accounts; for those of us that took the time to create a beautiful flatlay or took a snap of our perfectly posed morning coffee, it was incredibly disheartening. Why bother to focus so much effort on a platform that seemed to only favour mega influencers or paid content? its importance should never be overlooked.” However, that doesn’t mean we can’t still enjoy a bit of Insta and creating images that we’re proud of; it just means it shouldn’t be your number one priority as a content creator. For the first few months of the year I admittedly really struggled with Instagram. I’d spent a long time building up an audience and an engaged following, only for it suddenly to start progressing noticeably backwards; I couldn’t predict the ‘success’ of any given image and spent far too many hours scrolling, checking and re-checking my notifications as some kind of validation as to my worth. It started to become a real issue, and one of few topics my fellow bloggers and I would discuss on almost a daily basis – something had to change. You may have read my post about ‘breaking up with my phone‘ already, but in a nutshell that time away from my device and the constant checking did me the world of good. I started to realise that those likes didn’t define my value and they weren’t within my control; they were at the disposal of the Instagram Gods, so constant anxiety about the platform certainly wouldn’t change anything and wouldn’t do me any good in the long-term either. It was a lightbulb moment. In that instant I decided to no longer spend time worrying about the performance of my snaps, instead focusing on creating the images and overall grid I was proud of. I started to pay attention to what worked and to have fun creating more of the same; I was no longer afraid of sharing pictures that were ‘off brand’ or a little too green, or regramming other accounts I admired or wanted to support; I stopped feeling worried or anxious about the fact I didn’t have a fresh pic that day, instead only sharing what I really wanted to put out there. And you know what? I’ve totally fallen for the ‘gram all over again. Yes it can be disheartening to spend a couple of hours creating a great flatlay only for the likes to trickle in and leave you wondering why you bothered, but to be honest they’re not everything. The way we use the app is changing, and we’re much more likely to scroll to the next shot than we are to take a second or two to like or leave a comment. Changing to a business account and looking at how many people actually saw your post will give you a much better reflection and arm you with additional stats if you need them. 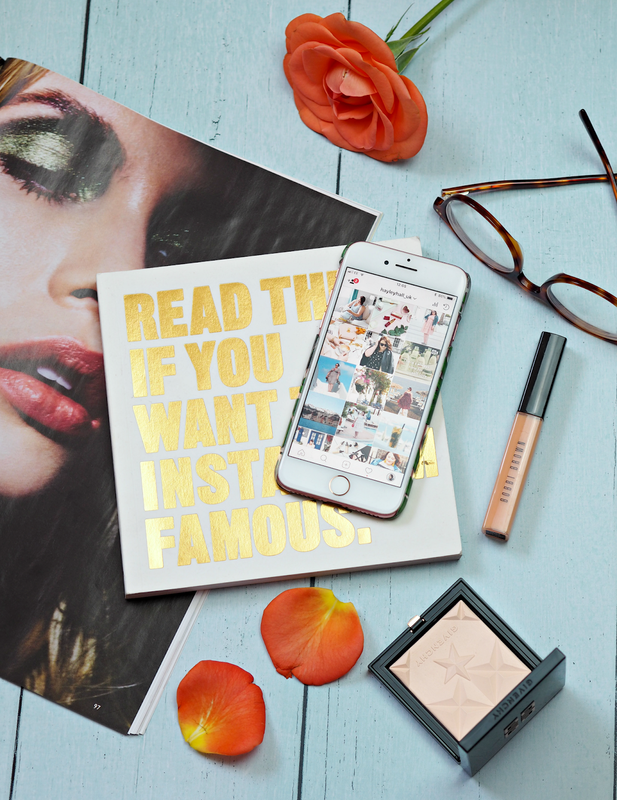 Don’t feel like you have to follow a theme, edit your pictures in a certain way or emulate the success of others; Instagram is all about being creative and putting out a true reflection of your interests. Too many accounts are now following a set formula and don’t have any point of difference, so instead of falling into a sea of samey be proud to stand out and do what you love. What I love most about Instagram right now is the community of women that are so incredibly supportive, kind and sweet underneath those little square pics. I adore seeing comments pop up and feeling like you’re genuinely inspired or motivated by what I’m sharing, so I try to reply and like as soon as I possible can. Having a two-way conversation is so very important, and not only because it reminds you of why you’re doing it in the first place. Fed up of the super curated feed and worrying about such visible engagement? Go back to basics and use the raw, fun and fresh features of Instagram Stories. Although I’m a bit rubbish at remembering to document what I’m doing, I do love snapping away and adding a random gif without worrying whether or not it’s ‘on brand.’ In my opinion these instant and short-lived posts provide the easiest and best way to fall back in love with Insta, so get to it. After all, it’s only an app. 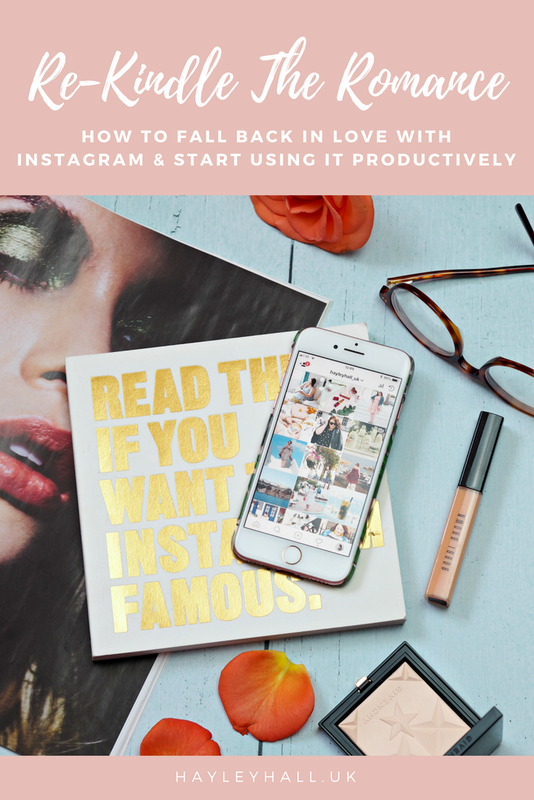 I think the growth thing is totally dependent on how many followers you have – if you're over about 10k it's almost impossible, unless you're over 100k when Instagram seems to champion you!